Last Friday was the beginning of the Avengers Half Marathon Weekend at Disneyland. Not only did it take place only a few days after I got back from the Wine & Dine Half Marathon Weekend in Orlando, but it was the last Disneyland race weekend for an unspecified period of time. (Smart money is on the West Coast runDisney races returning no earlier than 2020, but it could be later due to all the resort construction.) I was really glad that I’d signed up for all three distances (5K, 10K, and half marathon) so I could bid a proper farewell to the Disneyland races. However, when my alarm went off at 3 AM that Friday morning I seriously questioned that decision. Having to wake up hours before dawn has a way of dampening your enthusiasm, even for things you love! I quickly got dressed (no sunscreen required for such an early race) and drove to Disneyland. 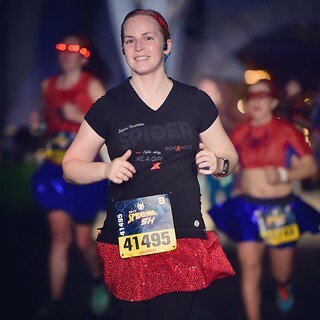 Continuing my superhero apparel theme from the weekend before, I picked my Black Widow shirt and a red skirt for the Spider-Man 5K. The shirt appropriately said “spider” on it and everything! And since it was 10 deg cooler in Anaheim that it had been in Orlando the week before I was able to wear my favorite running capris rather than needing shorts. 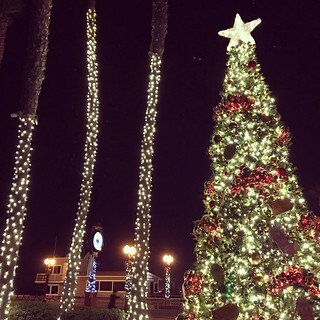 Fall in Southern California is the best. The 5K snaked through both Disneyland and California Adventure parks and it was a lot of fun. There were multiple Spider-Man sightings in both parks. If I’d been smart I would have stopped for some pictures with characters on the course, but I didn’t take advantage of that opportunity. When I finished the race I got my medal, grabbed a banana, and headed back to my car in the parking structure. It was a weekday and I needed to go to work – after a shower, of course. 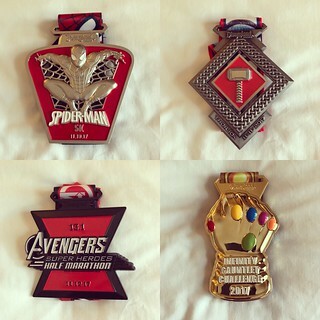 The Avengers Half Marathon Weekend was off to a good start and I still had the 10K and half marathon to look forward to. 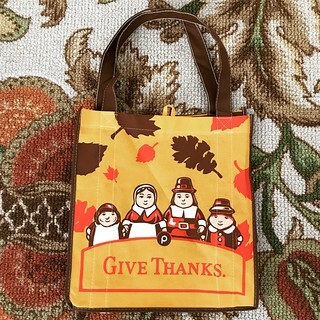 Thanksgiving is one week away and I can’t wait! I’m spending the holiday with my dear friend Natalie and her family (including my beloved goddaughter) so I don’t have to do the lion’s share of the cooking, but that doesn’t mean I’m going to arrive empty-handed. What kind of a friend would I be if I did that? So far I’m planning to make my favorite pumpkin dip with fruit as an appetizer, some scrumptious homemade cranberry sauce to go with the rest of the main meal, and Food Network’s Ginger Coconut Pumpkin Pie which is the best pumpkin pie I’ve ever tasted. Even though these are three relatively small items, I’m still a little worried about getting them all done and ready for Thanksgiving dinner, especially since I need to transport everything to Natalie’s house. Fortunately I think I can make all three on Wednesday so that I won’t be too stressed on Thursday. However, the only time I’ve made the pumpkin pie was in Tallahassee and I had my mom to help me! I’m concerned about getting it right on my own, especially I’m no expert at making my own crust, but I’ll do my best. And I’m going to attempt to make a gluten-free version just for Natalie. 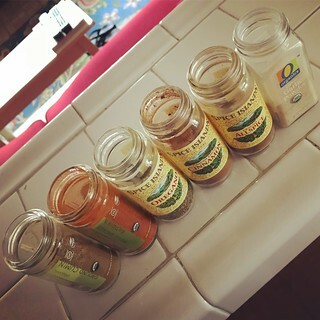 I stocked up on gluten-free gingersnaps at Whole Foods for the crust yesterday. Fingers crossed that they work just as well as the wheat-filled ones. I’ll let you know how it goes! Through no fault of my own this entry was not published on Tuesday, November 14th as planned. WordPress crashed as I was writing this very short and uninspiring post late last night and I was unwilling to stay up and to wait until it was working again. (Have I mentioned how much I hate WordPress? I’ve had so many problems with it. But that’s a story for another day.) So I wrapped up the last few sentences of this brief post on Wednesday and backdated it to November 14th. I guess this is technically a NaBloPoMo fail, but that’s OK. Let’s just hope that WordPress cooperates for the rest of the month! When I got home from the gym tonight I had no idea what I was going to write about in today’s post. I have a few drafts in work, but I didn’t have the time or energy required to sufficiently prepare them for publication tonight. So instead I went online and looked for the latest NaBloPoMo writing prompts to see if there was one I could use to compose a quick paragraph to satisfy my post-a-day requirement this month. It wasn’t the most impressive plan, but it was better than missing a day. I even considered being supremely lazy and simply sharing a picture, but that’s more of a Wordless Wednesday thing. Unfortunately a Google search didn’t immediately turn up the NaBloPoMo homepage, which used to be hosted on Blogher. So I did a little more digging, and it looks like NaBloPoMo is defunct! I couldn’t find an obvious explanation so I just assume it quietly went away without any fanfare. This was a somewhat sad revelation considering how many Novembers I’ve been attempting to update my webpage every day to satisfy the NaBloPoMo requirement. I think I started back in 2010 and it was a challenge that I was always glad I at least attempted, whether or not I succeeded. And that now the official event is dead I need to figure out what I want to do in the future. Something to think about as I wrap up this month’s posts! The day before I left for Orlando I got an email from my credit card company stating that there had been some unusual activity on my account. The email encouraged me to give them a call. Now let’s remember that this was Halloween so I was not only incredibly busy with the chili cook-off at work, but also trying to get some actual work done before my vacation, so I didn’t have a lot of time to make phone calls. Plus, I initially thought the email was a scam so there was no way I was going to call the number provided without doing some research. When I had a free minute I logged on to my credit card account to see if I could recognize anything strange. It took about 5 seconds for me to realize that the “scam” in this situation was not the email, but the recent $9600 charge on my card! Apparently, someone had gotten a hold of my number and tried to charge $9600 to Ticketmaster. Holy cow! I am grateful to the credit card company for identifying that this was out of character for my account and flagging it immediately. The downside was that my card had to be cancelled the day before I went to Orlando. Not the most convenient scenario, but I got along just fine with only my debit card while I was gone. I just wasn’t earning Hilton Honors points on all of my Disney World purchases. The horror! When I shared this story in one of my Facebook groups a good friend made a hilarious joke (see the photo above) that still makes me laugh two weeks later. 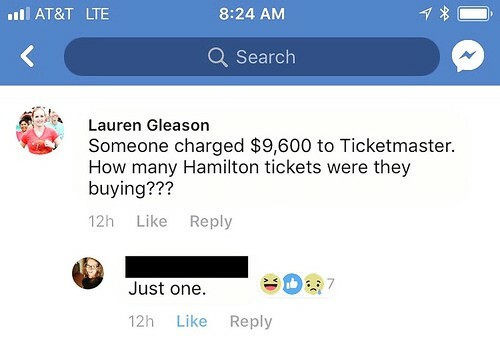 I sympathize with any thief who was so desperate to get a ticket for “Hamilton” that he or she needed a stolen credit card number. I just wish it wasn’t mine! Back in January, after the shock of getting my credit card bill from the holidays and a trip to Orlando, I resolved to be more frugal in 2017. About ten months have passed since then and I have to start this resolution revisit by confessing that I haven’t exactly succeeded in being more frugal this year with regards to Disney-related purchases. I’ve renewed my Premier Annual Pass which gives me unrestricted access to all Anaheim and Orlando Disney parks, gone to Disney World twice and run several races there, and participated in four multi-day race weekends at Disneyland. And all of that is on top of my usual visits to the Happiest Place on Earth that have nothing to do with running. These are expenses that, while technically frivolous, bring me a lot of joy. 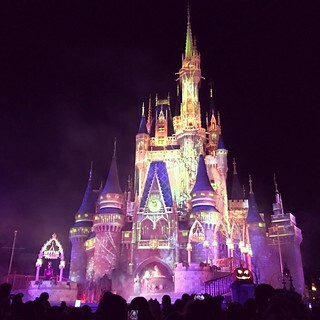 I get an immense sense of accomplishment out of conquering the Disney races (including the Avengers half marathon just this morning), plus I get to see the overwhelming excitement on my sweet goddaughter’s face when we watch Paint the Night or Fantasmic. I wouldn’t trade those experiences for any amount of money, but that doesn’t mean they were cheap! There’s some good news for 2018, though. Well, maybe not so much good news as really terrible news with an indirect upside. On October 18th runDisney officially made an announcement that most of us in the running community had been expecting for a long time. All West Coast races were cancelled for 2018 and placed on an indefinite hiatus. This was not a huge surprise considering that back in March runDisney suddenly postponed registration for the Disneyland-based Star Wars Light Side Half Marathon Weekend shortly before it was supposed to open. (I was one of the lucky few who had already signed up for the 5K using a link sent out to previous participants so I was even more bewildered.) And then they gave us not one word of explanation for the next six months. After this extended radio silence we all knew that the race wasn’t going to happen, but we were still incredibly annoyed at being kept in the dark for so long. When the announcement was finally made last month, current and future construction at the Disneyland Resort was blamed for the race interruption. There’s no guarantee that is the true reason for the hiatus, but we have no idea when or if the race weekends will actually return. So the bad news is that my favorite races have disappeared for at least a year (the Avengers races this weekend were their swan song), but the good news is that I’m going to save a lot of money. Not just on registration costs, but also hotel reservations, food, and merchandise. My bank account is certainly going to thank me, but that doesn’t mean I’m happy about it. The bottom line is that I’ve failed miserably at this particular 2017 resolution, but things are looking up for 2018! Stay tuned for more next year. It’s not even 7 PM and I am ready to go to sleep. It’s an incredibly thrilling Saturday night around here! Actually, this weekend is pretty exciting due to the Avengers Half Marathon Weekend, but the races cause my bedtimes to be much earlier than normal. So for that reason I’m not spending a lot of time on a webpage post today. Honestly, I tried to write something more substantial. but my brain just wasn’t cooperating. I have gotten up insanely early the last two mornings for the Spider-Man 5K and the Thor 10K so I’m already operating with a sleep deficit, and tomorrow morning is the Super Heroes half marathon. I’ll be setting my alarm for 3 AM again tonight which just sounds ridiculously early. Suddenly going to bed at 7 PM seems like a perfectly reasonable thing to do. The half marathon tomorrow is going to be the last race at Disneyland for a long time (more on that later) so I want to enjoy it as much as possible. Fortunately the weather is much nicer here than it was in Orlando last weekend! The simplest way to make a runner happy is to give them good race weather. Tomorrow is going to be bittersweet. I’m really going to miss running at Disneyland, especially the Avengers races. Here’s hoping the half marathon goes smoothly!